There are several types of document shredding services available, and choosing the right one for your needs can be confusing. Here we discuss the best service options depending on how much paper you have to shred. These services require you to load your paperwork into your car and drive them over to a drop off location. Here you will pay on average (but this does vary quite a bit) $1 per pound to shred your files. Large scale shredding services charge a flat fee of around $100 or more, so if you have less than 100 pounds and are willing to drop off your paperwork yourself, this is your best option. 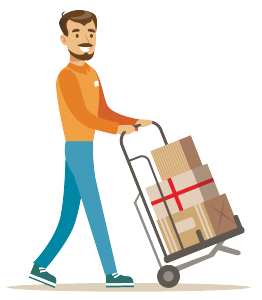 If you have less than 100 pounds to shred but don’t want to drive to a drop off location, Ship ‘N’ Shred makes things easy. Pack up 1-3 boxes of paperwork and for around $32 per box FedEx will stop by your location, pick up your boxes, and deliver them to a shredding plant for destruction. If you have less than 300 pounds of paper to shred you can have a mobile shred truck with a built in shredder visit your location and shred your files onsite. This type of service is popular because you can watch as your files are destroyed right in your parking lot. This type of service charges around $100, and you can have a truck drop by for any amount of paperwork less than 300 pounds (that is the max capacity of most trucks). For a slightly less expensive price, offsite shredding services are equally convenient and secure. A driver will come to you to pick up your documents, they will be loaded into a secure truck and driven to a secure shredding plant to be shredded in a large industrial strength shredder. This type of shredding services costs around $65-$75, however to don’t get to watch your files get destroyed. Offsite shredding is a great choice if you want to save some money or if you project weighs over 300 pounds. The only efficient service option designed to handle more than 300 pounds of paper in one trip, offsite shredding services are perfect for larger shredding projects. 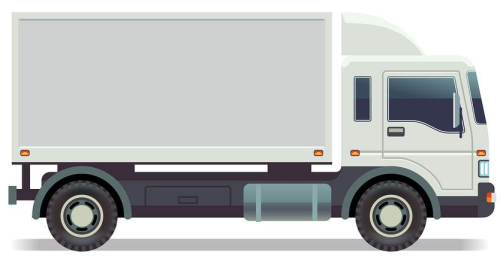 A large truck can fit over 1,000 pounds of paper and safely transport it to an industrial shredding facility for you for around $65-75. Some companies will charge more for very large jobs, so it’s always smart to call in for a quote before scheduling a job. No matter how much you have to shred, if you regularly accumulate paperwork that needs shredding, setting up pre-scheduled shredding services are your best bet. Find a provider near you and set up a daily, weekly, monthly, quarterly, or annual shredding schedule. You can choose to have a mobile shred truck stop by or have the shredder pick up you documents and shred them off site at a secure facility. Your shredding provider will give you locking bins free of charge to place around your office where you can gather paperwork until the next time your shredder is scheduled to visit. Setting up a schedule ensures that you stay on top of your shredding needs, comply with all security laws, and once the schedule is set up you can check shredding off your to-do list—it’s all seamlessly automated. Shred Nations recognizes that all shredding projects are unique. We partner with the most secure, accommodating shredders across the nation, and we’ll help you find your best option. Give us a call at (800) 747-3365 or fill out the form on the right for free quotes on mobile shredding, off site shredding, or drop off shredding services in your area. We look forward to helping you keep your private information safe.